A little bear, waiting desperately in a department store for someone to buy him and take him home. 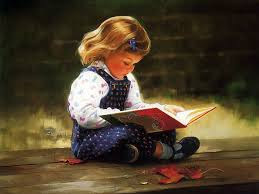 A little girl who instantly loves him, but her mom says, no and points out that he is missing a button on his overalls. 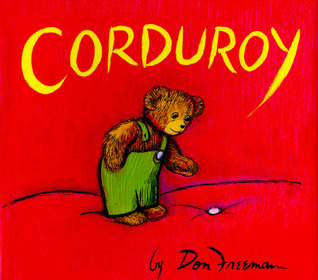 Corduroy believes that if he can find his button, then someone will buy him, so that sweet little bear searches the department store that night looking for his button. And then, the next morning when that darling little girl comes in and buys him and takes him home and sews a new button on his overalls. Who doesn't love Corduroy? If you say that you don't, I'm not sure we can be friends. 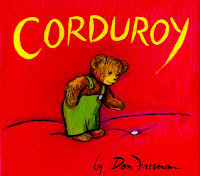 Corduroy is a heartwarming, sweet story about acceptance and love. I grew up reading Corduroy and so did my children. Corduroy is timeless.